Iglobalbuy Pro 5 in 1 Cap T-Shirt Mug Heat Press Sublimation Machine15"x12"
This sublimation printing machine features versatile operation - five heating elements allow transfers onto a variety of items, such as fabric, metal, ceramic, wood & glass. Create your own custom T-shirts, mouse pads, plates, coffee mugs, ball caps, tote-bags, license plates, and so on. Arrives fully assembled and ready to use with a swing-away design that has a full 360-degree rotation of swing arm; allows the heating element to be moved safely aside, reducing the chances of accidental contact. 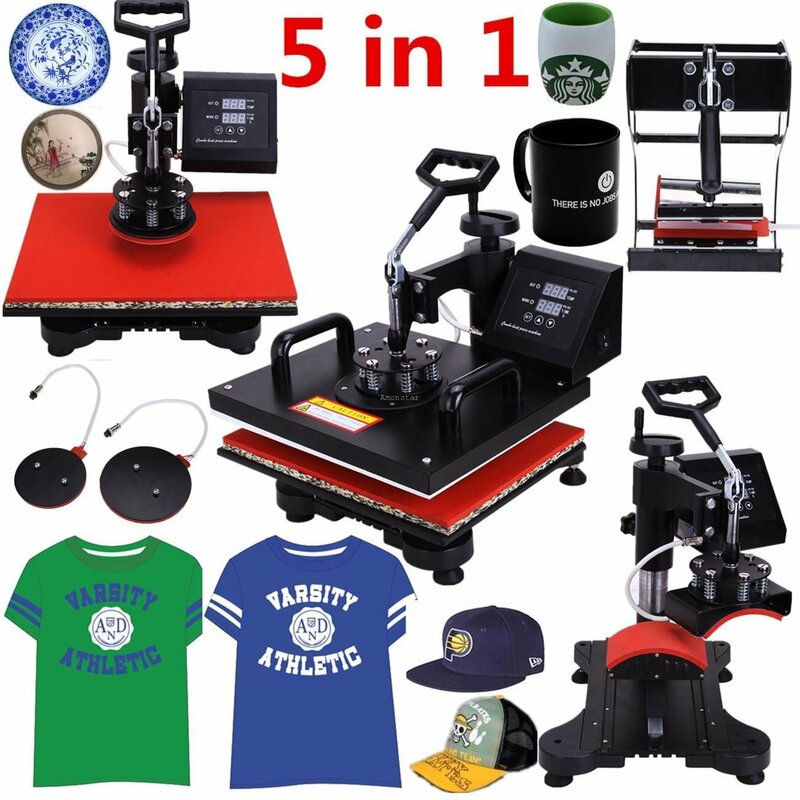 Iglobalbuy 8in1 T-shirt Heat Press and Hat Mug Cap Press 15" X 12"
Click the button below to add the Iglobalbuy Pro 5 in 1 Cap T-Shirt Mug Heat Press Sublimation Machine 15"x12" to your wish list.